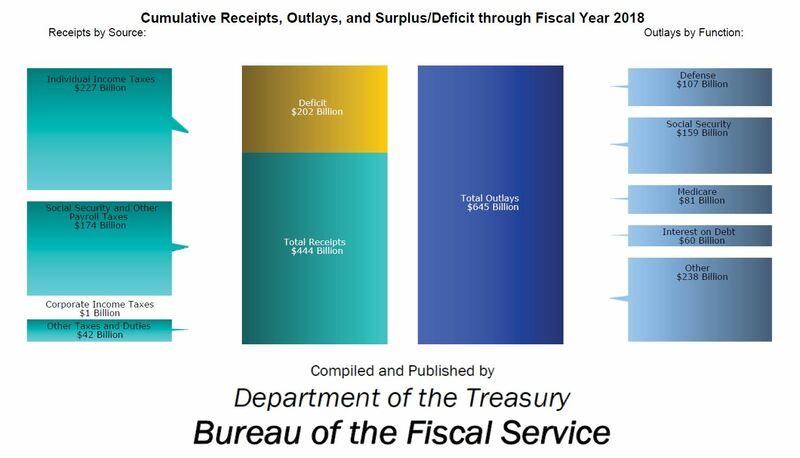 (CNSNews.com) - The federal government collected record total tax revenues of $443,715,000,000 in the first two months of fiscal 2018 (Oct. 1, 2017 through the end of November), according to the Monthly Treasury Statement. Despite these record tax revenues, the federal government still ran a deficit of $201,761,000,000 for those same two months. That is because the government spent $645,476,000,000 in October and November. The $443,715,000,000 that the federal government collected in taxes in the first two months of this fiscal year was $12,873,120,000 more in constant 2018 dollars than it collected in the first two months of fiscal 2017 and $11,352,180,000 more than it collected in the first two months of fiscal 2016. Prior to this year, the $432,362,820,000 in total taxes (in constant 2018 dollars) that the federal government collected in the first two months of fiscal 2016 was the greatest amount of taxes the federal government had ever collected in the first two months of a fiscal year. The federal government also set a record for individual income tax collections in the first two months of fiscal 2018. In October and November, the Treasury collected $226,535,000,000 in individual income taxes. 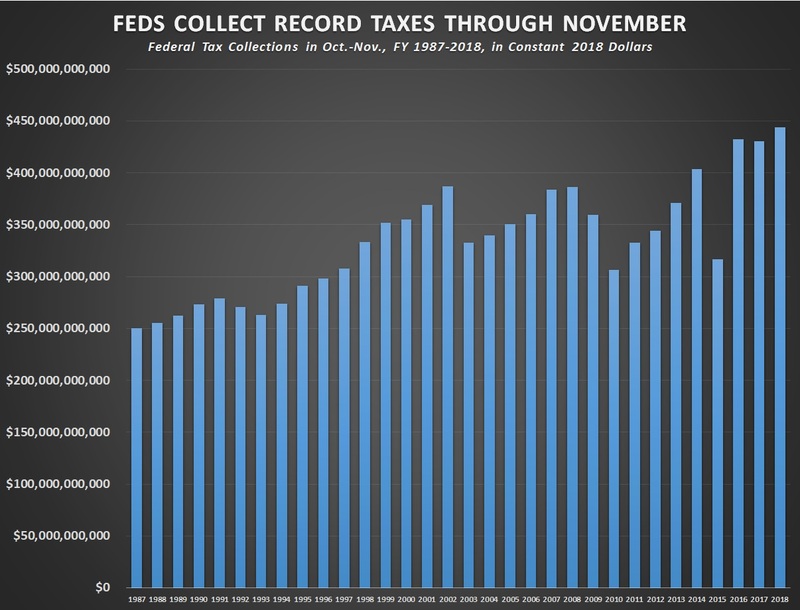 Prior to this year, the record for individual income tax collections in the first two months of the fiscal year was the $217,992,000,000 (in constant 2018 dollars) collected in the first two months of fiscal 2017.